Get your seed bed prepared more efficiently! 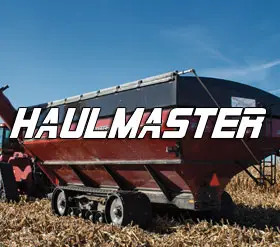 Combining the Super 7 Harrow and NutriMaster brings seed bed prep and fertilizing into one job to save you 40% on your field time. Elmer’s Manufacturing has seen success in combining its Super 7 Harrow and NutriMaster Fertilizer Caddy to lay and incorporate fertilizer in one pass. The unique set up has been shown to save time, money and leaving the soil in better condition by incorporating two jobs into one at a large width and quick speed. Combining fertilizer application with spring seed bed prep landed on the “What’s Next?” project list for Elmer and the engineering team in Spring 2016. Elmer, who also helps manage a family 3000 acre farm, is always looking to increase efficiency and with Elmer’s Manufacturing having the products on hand, it seemed like a no brainer to give this project the go. The concept is simple, combine the Elmer’s 4250L TBT NutriMaster and 80′ Concept Super 7 harrow by running hoses along the harrow frame which connect to custom welded tubes onto the front row of tines. 1″ inch flexible hoses were run from the caddy to the frame which connected to PVC piping secured to the frame. Adapters were installed at each tine location with a 1/4″ flexible hosing to the tine. Putting this concept onto the field proved to extremely positive. Elmer was especially happy with the depth and incorporation of the fertilizer into the soil. 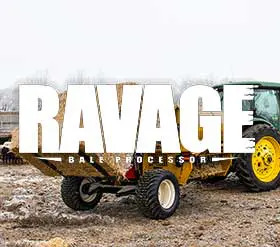 By harrowing immediately after application, it guarantees 100% incorporation into the soil. Barry Mankewich, Agronomist at GJ Chemical Ltd, agrees that “it’s a quick and convenient way to apply liquid nitrogen and sulphur fertilizer. It’s also a superior option than surface applying the product without incorporation”. Keep in mind the Super 7 is also adjustable to each field type, so the depth is adjustable between environments and up to 2″+ is achievable. Running 28-0-0 up to 60gpa at 8MPH and 80′ got a 320 acre field harrowed and fertilized in 4.4 hours. Not including equipment transport, prep and maintenance. As seen in the comparison above, just under 2 hours (40%) of field time can be saved purely on field work, not including transport, prep and maintenance. 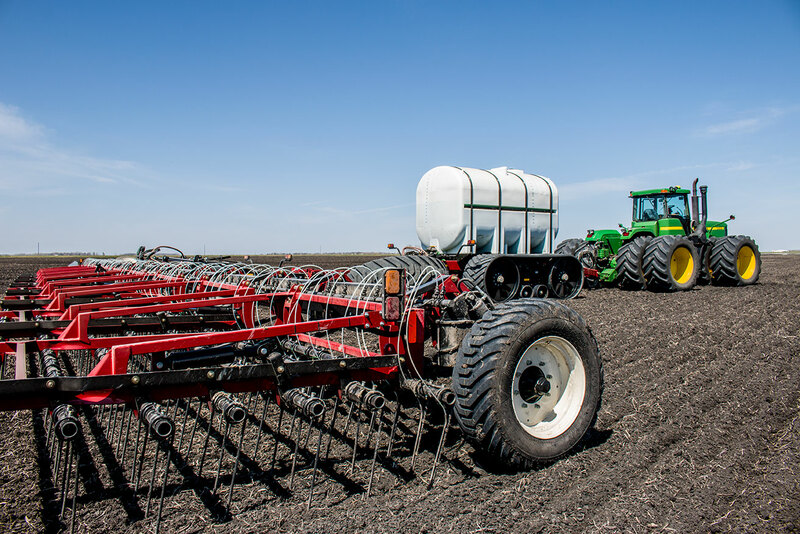 Running the fertilizer caddy ahead of the harrow doesn’t only let you fertilize and prepare the seed bed at the most opportune time, it saves a worker (or contractor) having to run the sprayer in spring and allowing you to get your seed in quicker. It also cuts down on the guesswork in applying fertilizer in spring. With this efficient set up, you can prepare your field and seed in a days notice. The large 4200 gallon capacity of the NutriMaster Fertilizer Caddy also reduces the additional stops to fill the sprayer. When calculating any fuel consumption savings, the results were deemed negligible as the increased weight for the tractor to pull cancelled out the fuel consumption of the sprayer. However, running the NutriMaster with Transfer Tracks will dramatically improve soil compaction. The concept of harrowing and fertilizing at the same time proved successful in reducing time needed and allowing the farmer to be more flexible with adjusting their field plans based on the current environment.